The Eagles' senior center midfielder was 'an impeccable player,' according to her coach. Three years ago, Katie McLaughlin entered the Messalonskee High field hockey preseason almost in a panic. The Eagles’ coach had no idea who would play center midfield, perhaps the most important position on the field. All-State teams and players of the year for girls’ and boys’ soccer. Then she saw freshman Haley Lowell play. 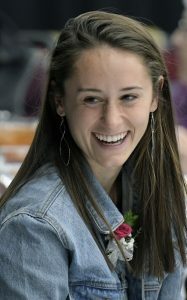 It showed throughout her career for the Eagles, and now Lowell is being honored as the Maine Sunday Telegram’s Field Hockey Player of the Year. She also was named Miss Maine Field Hockey. Not bad for someone who didn’t pick up the sport until the fifth grade. Lowell will play at Boston University. The Terriers went 14-8 this fall, losing to eventual national champion Connecticut 3-1 in the second round of the NCAA tournament. Using superior stick skills, speed and an uncanny ability to see the whole field, Lowell had 12 goals and four assists this year. She finished with 36 goals and 22 assists in her career. McLaughlin said she often marveled at how Lowell was able to gain control of the ball and then either stickhandle through opposing players or, in one swift motion, somehow find an open teammate with a pass. “She was an absolute role model for her peers and youth players,” said McLaughlin. “I can’t say enough good things about her. Playing for the Maine Majestix club team in national tournaments from California to Florida helped develop her skills. While the Eagles never won a state championship – losing to Skowhegan each of the last three years in the regional final – Lowell said she’ll always appreciate her high school career. Haley Carter, Skowhegan senior sweeper: A repeat All-State selection, Carter holds the school record for defensive saves with 69. She became involved in offensive penalty corners this year, and had five goals and nine assists, giving her six goals and 11 assists in her career. She will play at Hofstra University. Maliea Kelso, Skowhegan junior center midfielder: A repeat All-State selection, Kelso had 22 goals and 10 assists for the Class A champions, often coming through with clutch plays. She possesses exceptional stickwork and field sense. Kelso has committed to play at Northeastern. Maddison LeBeau, Westbrook senior center midfielder: The catalyst for Westbrook’s run to the Class A South championship, LeBeau finished with six goals and 16 assists this year, controlling everything the Blue Blazes did with her playmaking ability. She will play at Division II St. Anselm. 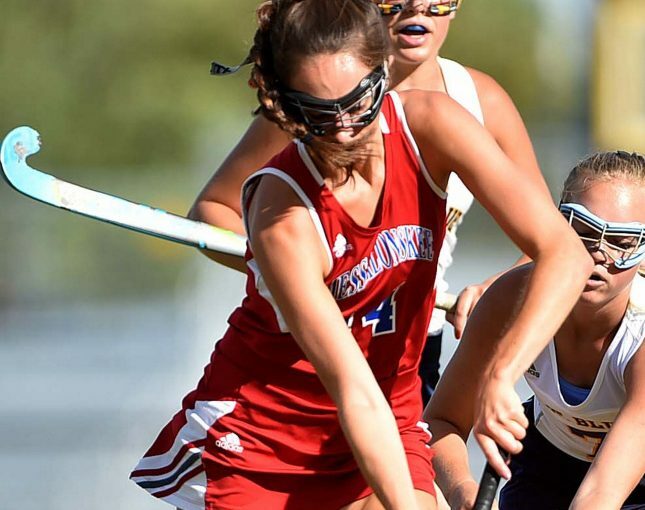 Autumn Littlefield, Messalonskee junior defense: A repeat All-State selection, Littlefield had 14 goals and five assists for the Eagles, bringing her career totals to 31 goals and 16 assists. She’s quick with the stick and has a hard drive. She has committed to play at Boston College. Haley Lowell, Messalonskee senior center midfielder: Our Player of the Year and winner of the Miss Maine Field Hockey Award, Lowell had the ability to control a game with her stick skills and passing. She had 12 goals and four assists, giving her 36 goals and 22 assists in her career. She will play at Boston University. Sydney Meader, Boothbay senior forward: A finalist for Miss Maine Field Hockey, Meader was one of the top scorers in the state over her career. This year she had 38 goals and three assists, giving her 86 goals and 18 assists in her career. She will play at the University of Maine. Kelsey Mehuren, Belfast senior center midfielder: Mehuren controlled not only the center of the field but the entire game with her ability to defend and pass. She played the trailer on defensive corners and also was involved in offensive corners. She had 16 career goals, 14 assists and 12 defensive saves. She will play at UMaine. Emma Rutledge, Massabesic senior forward: Rutledge finished her high school career in grand fashion, setting school records for goals in a season (22) and a career (68). She also had eight assists this year and 21 in her career. She is undecided on her college choice. Leah Savage, Skowhegan senior goalie: Savage allowed only seven goals and had 13 shutouts for the Class A state champions, often coming up with a big save whenever an opponent got through the defense. She was a first-team all-KVAC selection. She is undecided on her college choice. Hannah Trottier-Braun, St. Dominic senior forward: Trottier-Braun scored a state-record 59 goals this fall, including the overtime winner in the Class C final, to go with 17 assists. That gave her 111 career goals, also a state record. She has yet to make her college decision. Addi Williams, MCI senior forward: Williams ended an incredible season by scoring three goals in MCI’s 5-0 win over York in the Class B state final. For the season she had 38 goals and three assists, giving her 86 career goals and 18 assists. She hopes to play at Endicott College. Brian Kay and Jennifer Brown, St. Dominic: Kay, in his 18th year, and Brown, in her first, directed the state’s only undefeated team. St. Dom’s dominated with offensive pressure. “People say defense wins championships,” said Kay, “but putting the ball in the net wins championships, too.” St. Dominic scored 143 goals and gave up nine.